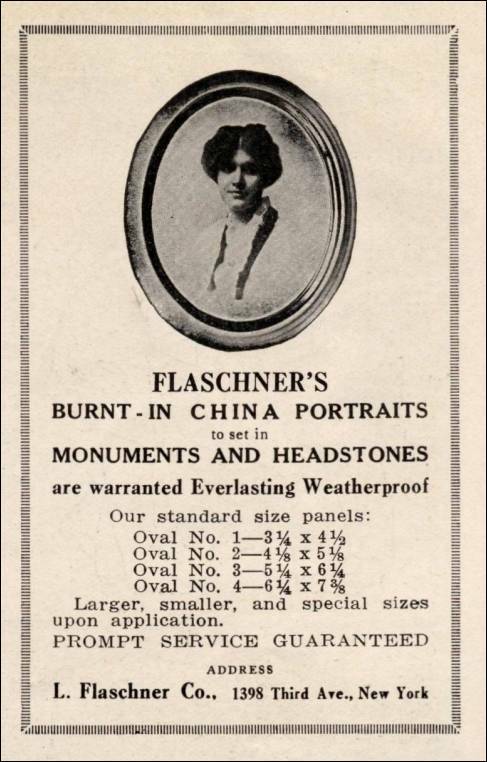 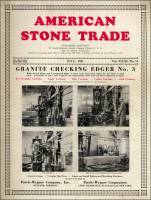 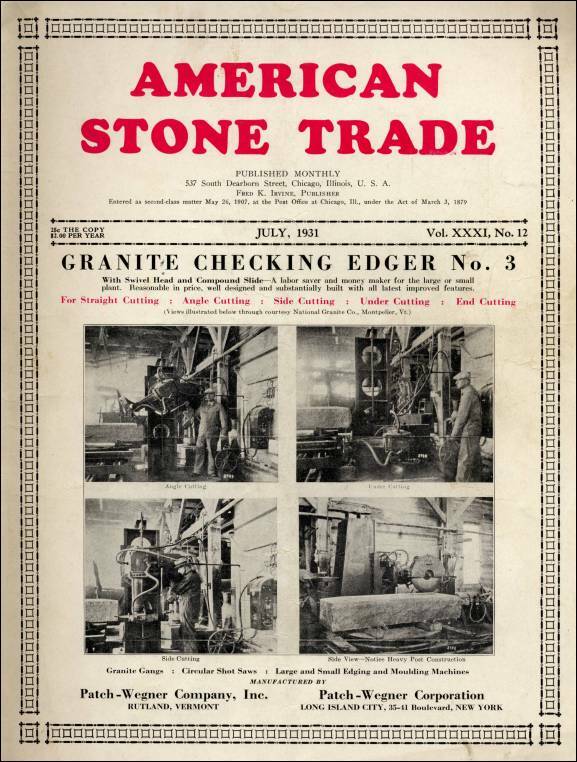 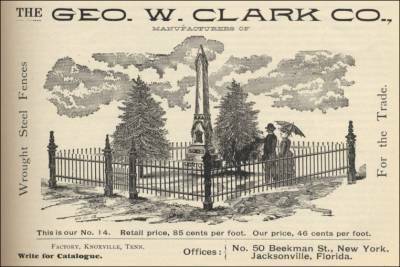 Quarry to Cemetery Stone - Advertising Cemetery Stones & Accessories from Magazines, etc. 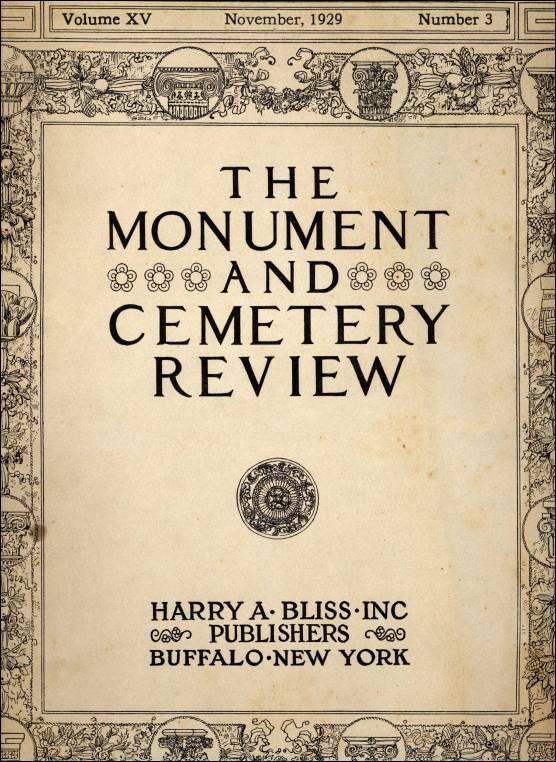 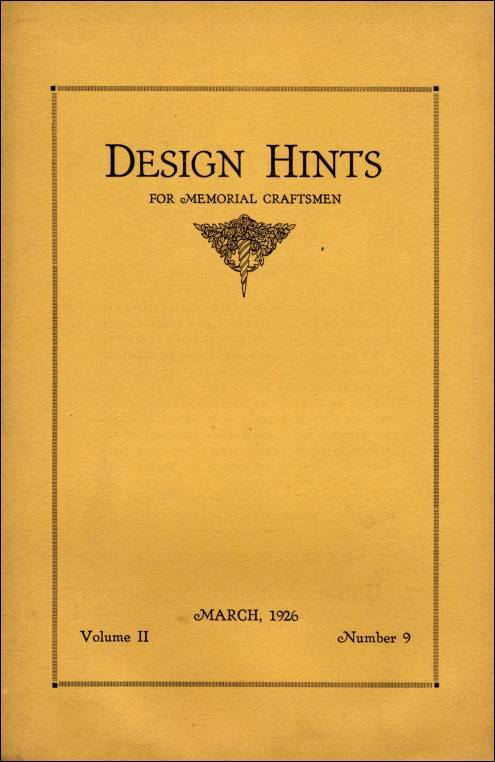 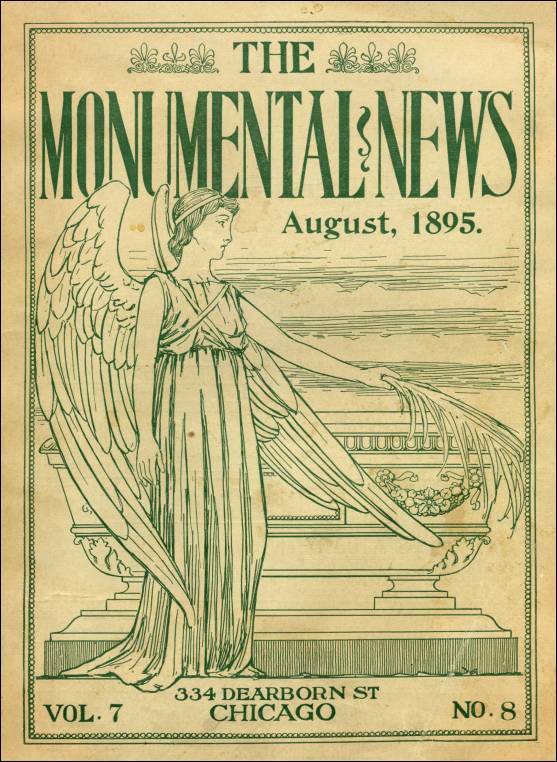 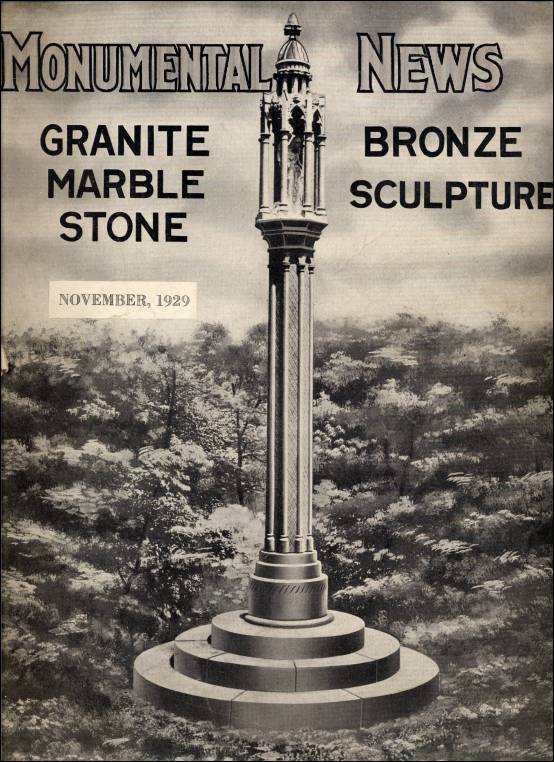 These magazines sometimes included architectural designs and cemetery stone carving patterns that the customer could choose while viewing the magazine at the local monument company’s office. 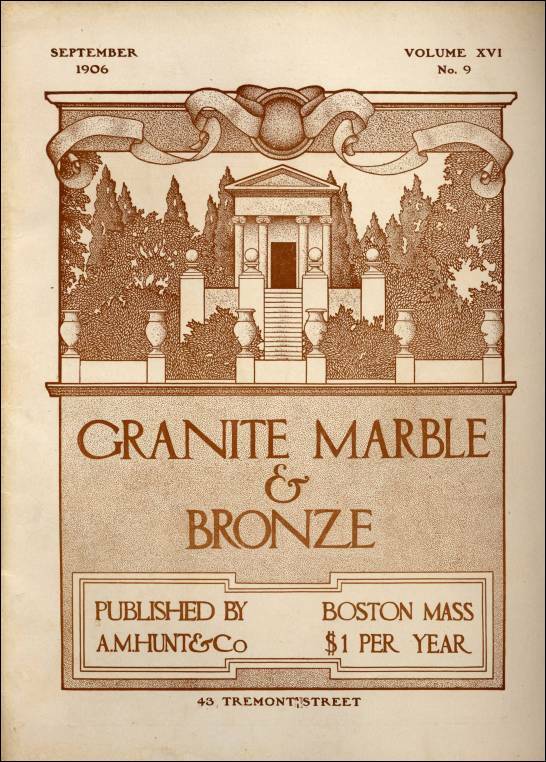 Below are the front covers of some of the monumental magazines that were published during the late 1800s through the early 1900s. 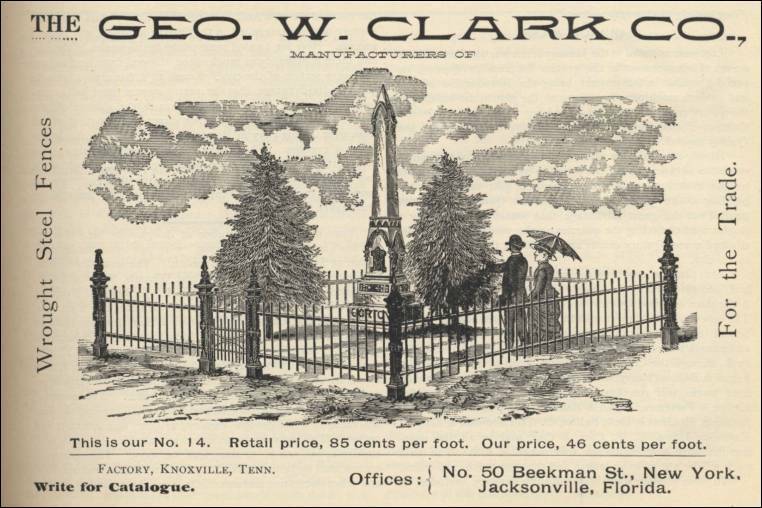 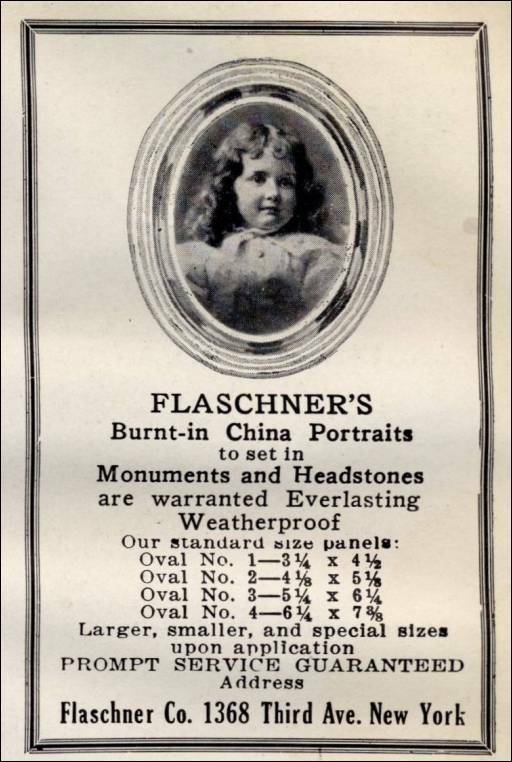 These magazines also presented statuary and wire fencing advertisements. 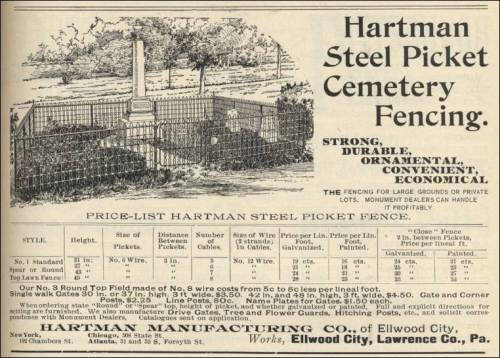 Below are some cemetery fencing advisements. 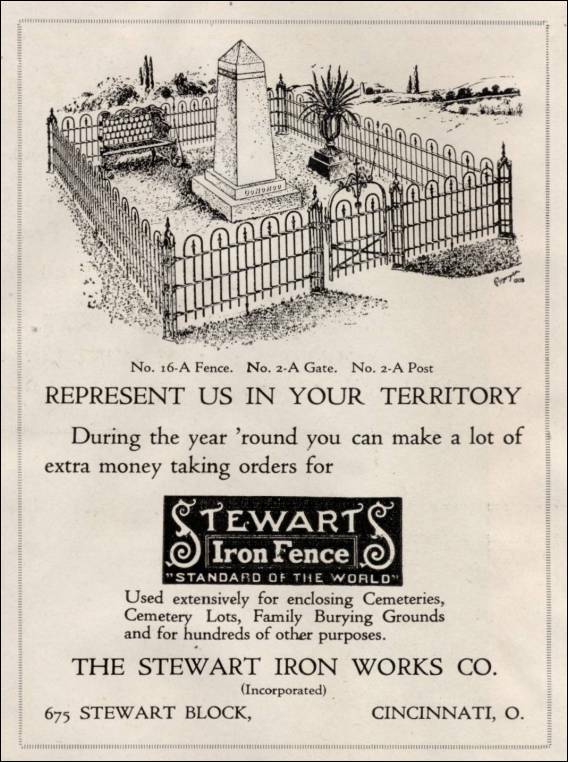 These magazines also presented cemetery vault advertisements.